Oohhh... I so want one! Do they come in blue? Blue is my best colour, I think. All that's missing is her paw out the window with a cigarette. HAH! Great image! What a cool car you got Katie ! New follower here via the Wordless Wednesday Blog Hop. Love that car! Vroom! Vroom! I have no idea why I am seriously creeped out by the car having teeth and puffy little cheeks. "fun fun fun" until your Daddy takes the Carerra away! Oh what a cool car! This car is smiling :-) Haha, how cute! Now that is my kind of car! 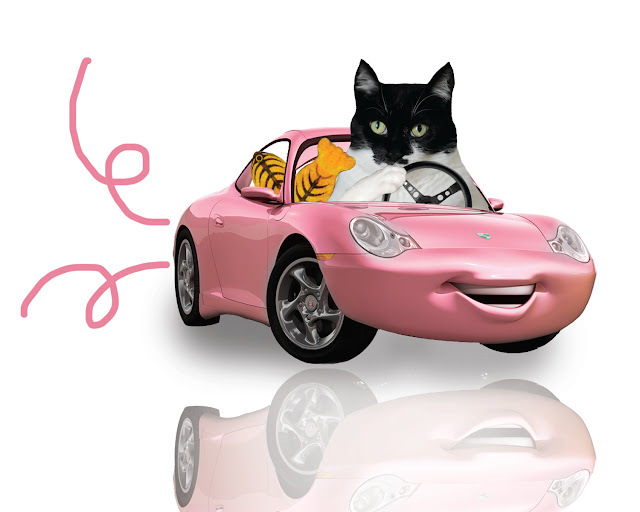 A fast car and some stinky fish...what more could a girl cat want?!!! ::thud:: You look hawt in that, Katie! 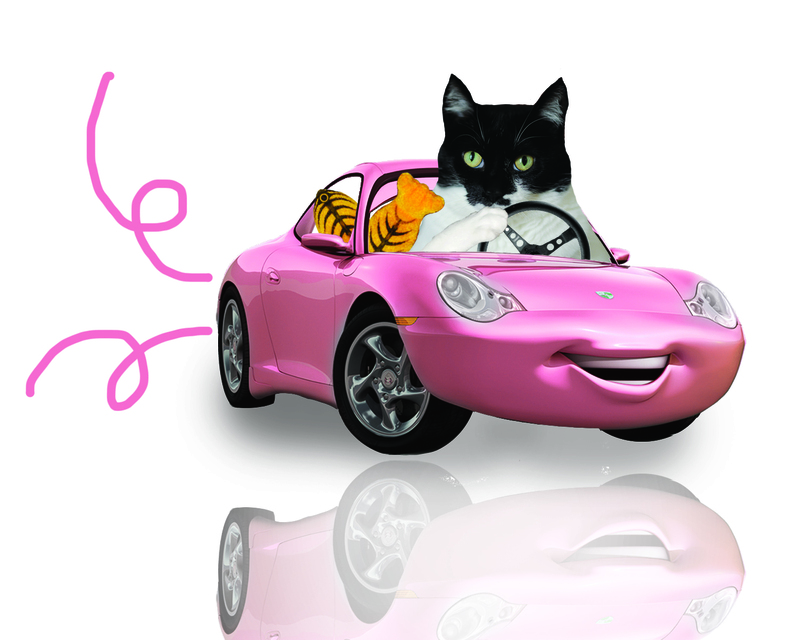 WOW -= that's quite a Katiemobile - fit for the star that you are. Varooooooom! Wow, Katie! I wish my jalopy looked as good as yours... and was stuffed with such goodies! This is the car of my dreems! You gotta burn rubber, Katie! Wow! Wanna pick me up and we can go pick up some boy cats! Whoa! Don't run us over - you look like a kitty on a mission! And with fish to spend. Oh Cod. She's not going to change your name to Barbie is she? Can we borrow that when you're done? Allie: *squeee! * oooh KAtie! A PINK Porsche!